THE HAGUE – Two reports of the Law Enforcement Council about the treatment of persons with a psychiatric disorder or addiction in the justice sector and the prevention of youth crime in Bonaire, St. Eustatius and Saba will receive the necessary follow-up from Dutch Minister of Security and Justice Ard van der Steur. In a letter sent to the Dutch Parliament on Friday, and released on Monday, the Minister responded to the recommendations and findings in the two reports of the Law Enforcement Council (“Raad voor de Rechtshandhaving”). The reports offered positive indications to continue the efforts of authorities in the area of youth crime and forensic care. As a result of one of the Council’s recommendations regarding the forensic care of persons with a behavioural disturbance or an addiction, Van der Steur will be assessing the legal gaps and requirements. This assessment should be completed within the first half of 2017. The objective is to further improve forensic care for these persons within the criminal law sector of the Caribbean Netherlands. In the report, the Council recommended to update the legislation and legal framework in such a manner that it offered maximum flexibility to impose and execute sanctions for this group of persons with psychiatric disorders and addictions. The Council also pointed out the shortage of a secured institution for compulsory treatment, and recommended to realise such a secured facility, possibly within the construction of the new prison being built in Bonaire. Sufficient qualified personnel would have to be available. In the meantime a form of cooperation should be established between the countries within the Dutch Kingdom whereby each country develops a specialist facility for care and detention which could be used by all partners. 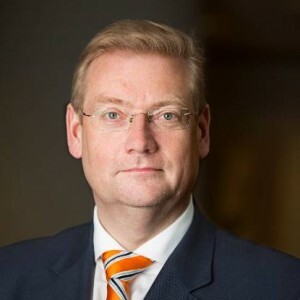 Van der Steur stated in response that authorities in the Caribbean Netherlands were looking at realising a secured facility with six beds within the new prison. This assessment will be completed early 2017. The Council was positive about the recent developments such as the availability of forensic ambulant care in the Caribbean Netherlands. Where it pertained to the prevention of youth crime, the Law Enforcement Council concluded that the right institutions and necessary consultation structures were in place in the Caribbean Netherlands to determine, prevent and tackle youth crime. However, a joint policy was lacking, and cooperation between the different organisations could be more efficient and effective. Van der Steur stated that he concurred with the Council that the public entities Bonaire, St. Eustatius and Saba had an important role to play in the prevention of youth crime. The Minister stated that he assumed the Executive Councils would carry out the recommendations to prevent youth crime. The Minister stated that he was working on realising legislation in the area of youth crime for youngsters between the ages of 12 and 18. Together with the justice partners in the Caribbean Netherlands, the implementation of a title in the Penal Code with criteria for the youth is being looked at. Decision-taking will take place next year. Van der Steur agreed with the Council that it was important to properly register high-risk youngsters in order to have a good overview of their numbers. The Caribbean Netherlands Police Force KPCN registers criminal acts of high-risk youngsters and disturbances of the public order by this group. The community police officer has a preventive task by providing information at schools and to residents, while specific cases are reported to the school. The Minister has asked the so-called Security House, in which the entire justice, education and care sectors are represented, to draft a proposal.